Alex has been supported by Beyond Limits since August and he is enjoying getting to know his team. 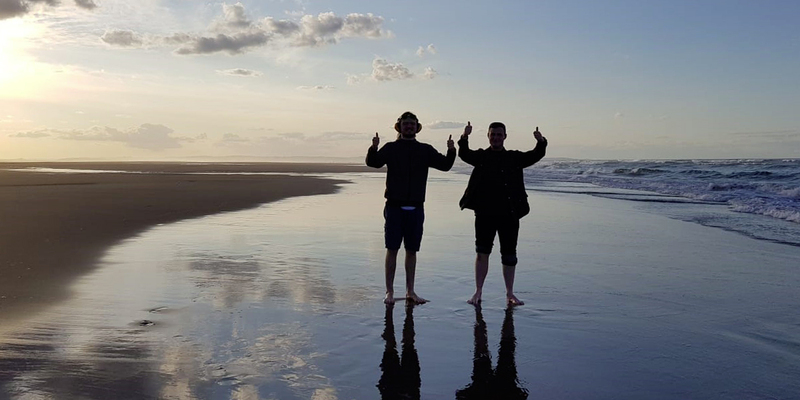 He loves to be outdoors and enjoys walking, here he is with one of his team enjoying a day out on the beaches around Holy Island. Alex is a member of the National Trust and English Heritage and he has a Duke of Edinburgh Gold Award. When he is not out and about, he enjoys baking and art. He also likes to visit different places for a cuppa and a slice of cake. Alex with his support Rachel (left).